For today’s Fiesta Friday I wanted to come up with a delicious recipe, to keep up with all the lovely ones you’ve all been posting, but instead I created something a little bit different! At the weekends I love nothing more than making a big pot of fresh coffee, with exciting different coffees from around the world. I have one of those enormous cafetières that claim to be 12 cup ones, but I think they must mean really tiddly cups (espresso-sized!) because we normally get 5-6 out of it at most! My problem is that before we can drink that many cups of coffee, which takes us both all morning, the coffee at the bottom of the pot is stone cold. And microwaving nice coffee is just wrong. 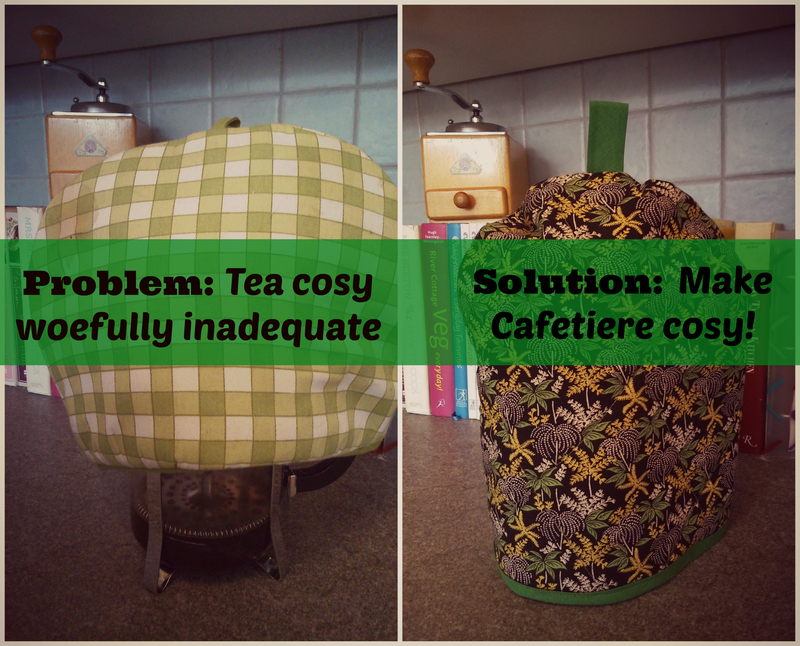 Using my tea cosy sort of helped, but the fundamental problem was that it perched on top of the cafetière a bit like a hat, and didn’t cover the coffee at the bottom. See exhibit A above! Frustrated weeks of cold coffee later, and I decided that it was time to fix the problem. 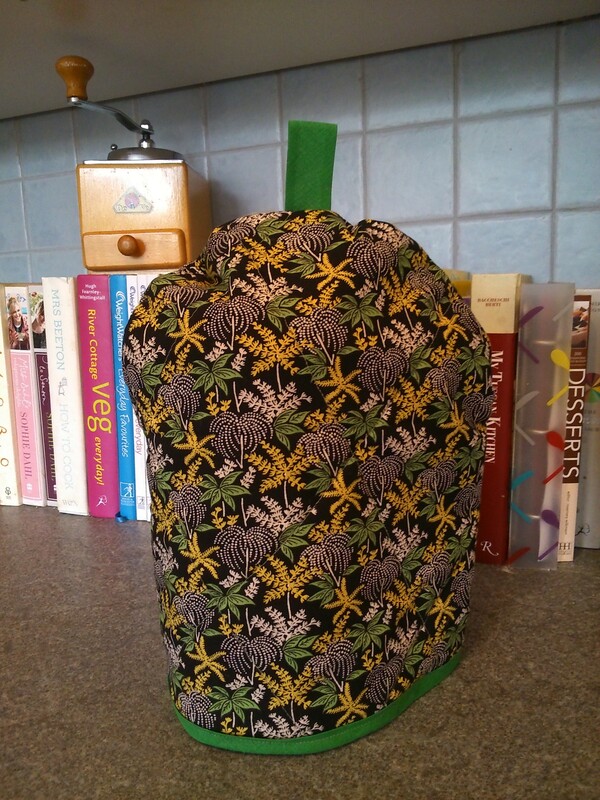 Tea cosy wrong shape = get a cafetière cosy! A quick look on eBay and Etsy didn’t reveal any I was particularly fond of, and most seemed either designed for smaller cafetières, or to be the wrap-around style with buttons, which seemed a little too much effort for my liking. 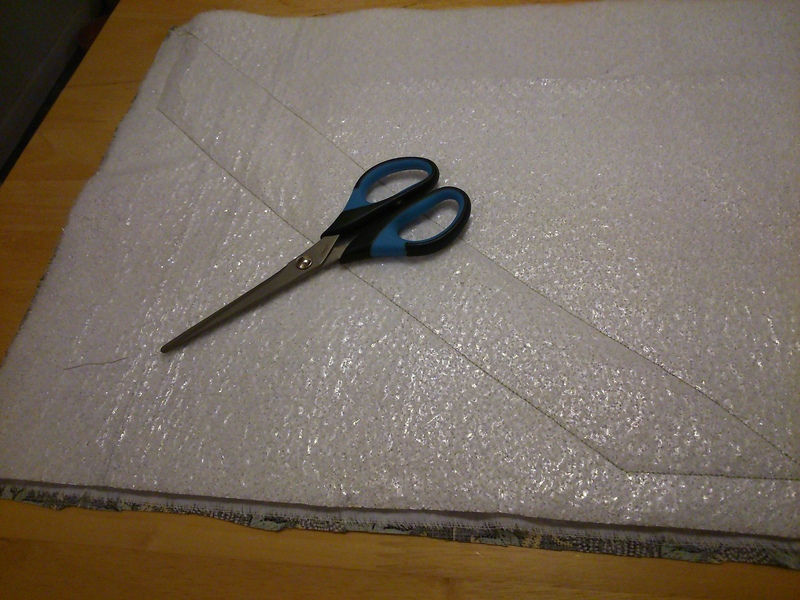 So, what better way to practice my sewing, than to make one?! 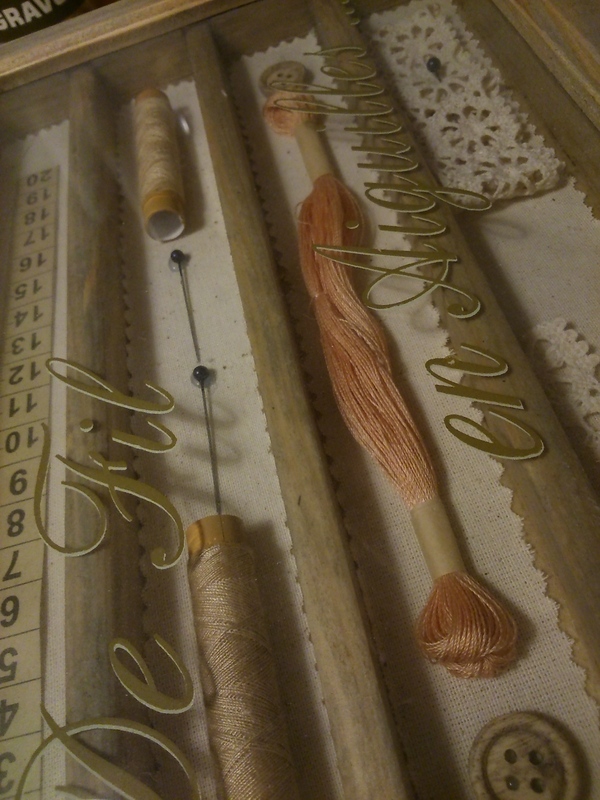 And any excuse to use the pretty reproduction French vintage sewing box my parents gave me for Christmas a couple of years ago. 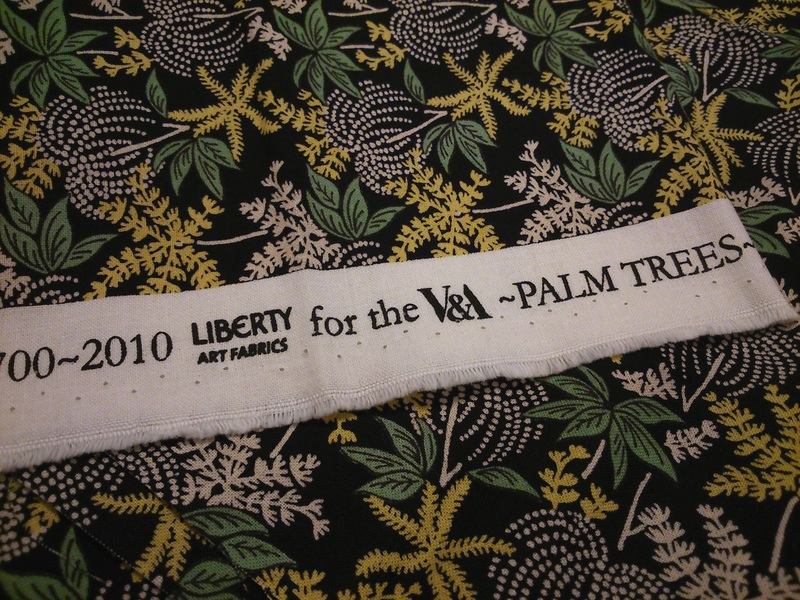 I found some beautiful Liberty print fabric in the Victoria and Albert Museum online sale (if you haven’t looked at their beautiful library of historic fabrics I suggest you do so now, but only if you’ve got some pennies (or more accurately, pounds!) 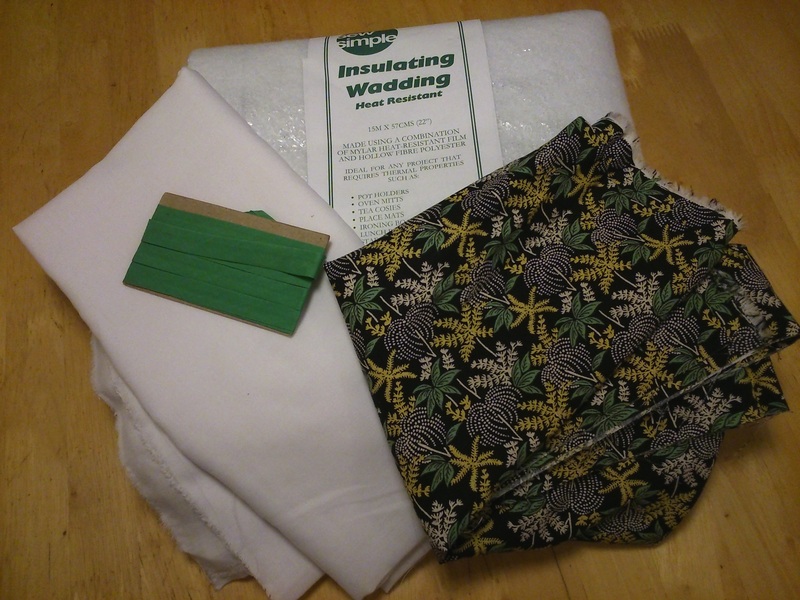 to spare) for a steal, and sourced some thermal insulating fabric and basic white cotton from eBay. The thermal insulating fabric is important to stop the heat escaping – although a regular fabric casing would help, it would be far less effective. And the cotton lining is just to make it look a little nicer inside! The total cost of fabric for this project (with a lot leftover) was around £9. If I worked out the actual cost for the amount of fabric I used, it would probably be about £1-2. Once I had everything assembled, I embarked upon my project, without any patterns or instructions, and just a vague idea of how I would do it. This would test my sewing skills, probably last used in primary school, to the max! 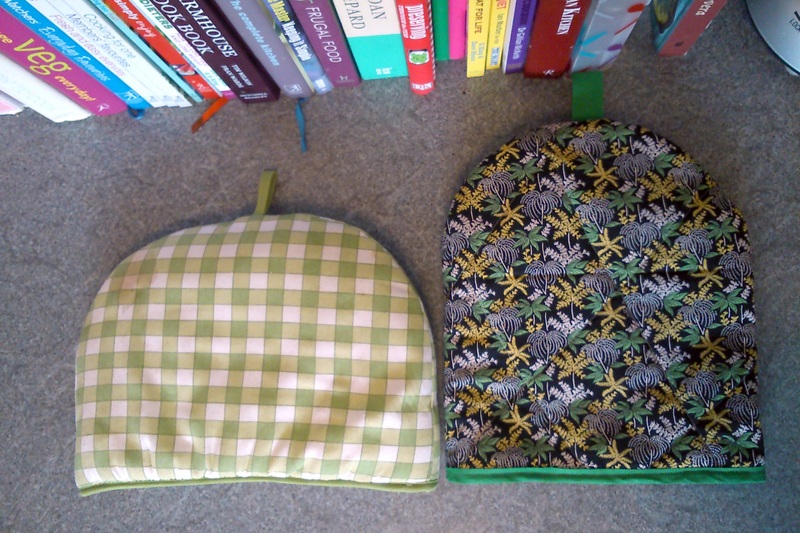 First of all, I cut out a piece of each fabric to the same size, which was the circumference of the cafetière and handle, plus an inch extra each side, and three inches taller than the cafetière. Then I practised quilting on the inside two layers (just to be sure I was capable of stitching straight lines!) before adding the top layer of decorative fabric, and quilting it for real. I am not sure this was a necessary step, but it certainly improves the finished look, and I suspect the rest of the sewing, especially the top, would have been much harder if the layers were not sewn together. I then sewed a seam along the bottom edge and trimmed the fabric flush with that seam, with about 2mm to spare. This was the edge which I covered with bias binding. I originally bought some 25mm wide stuff, but upon examination of my ‘straight’ lines elsewhere, I realised it was just too much of an ask to be able to sew it on once folded in half, so I had to wait a few days while some inch-wide tape arrived. This was much easier, and I had no need to iron it in half, it simply stayed folded once I’d creased it, which was so helpful. My enormous cup of tea in my favourite West Elm ‘owl’ mug was ever present during my sewing for brief moments of reflection! I tacked it all along the bottom edge and then very carefully sewed along it. A slight wobble here and there, but not a bad effort if nobody looks too closely. 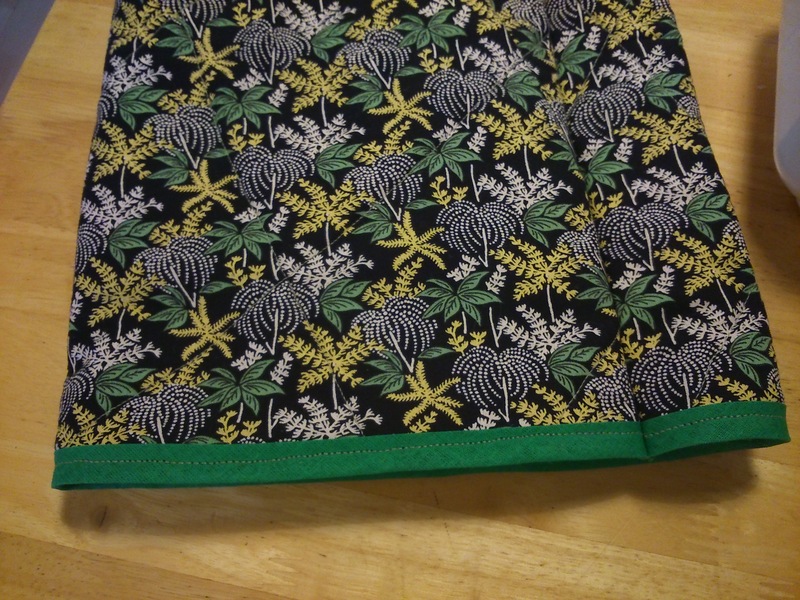 Then I pinned the sides of the cosy over the cafetière, and sewed down the side, and cut the excess fabric away to about 3-4mm away from the seam. The final step was the top. 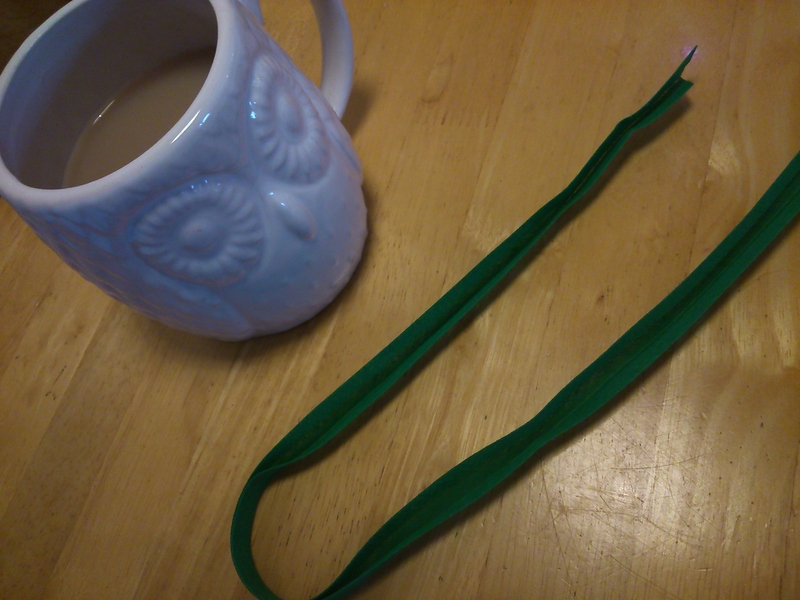 I folded a three inch-long bit of bias binding in half to make the tab, and stitched it together. I then placed this upside down, inside the cosy, so that once turned inside out, the tab would stick out from the top. 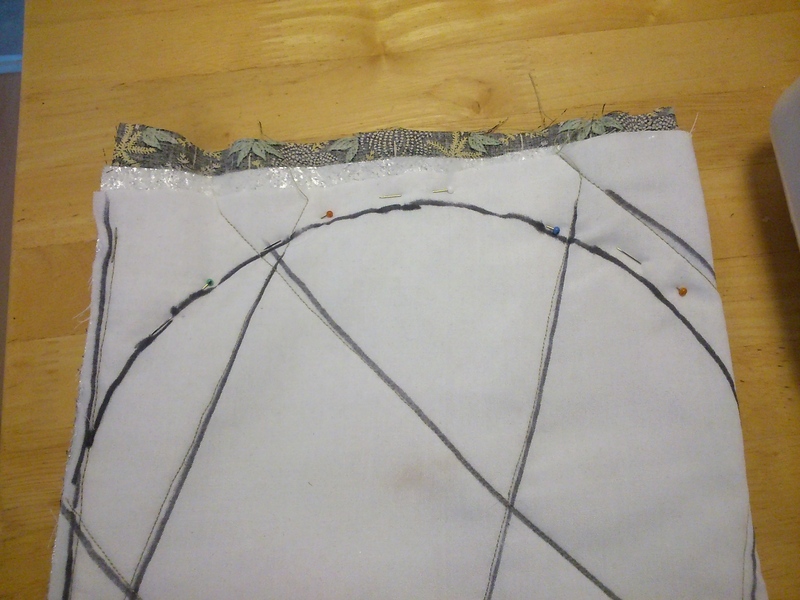 I roughly pinned the top over the cafetière, then took it off and drew a neater shape to stitch. I know that I added the cotton lining to make the inside look presentable, and then I drew all over it in pen, but I had no tailor’s chalk, and besides, nobody but me would look inside anyway. If I make another one in the future, I will make sure the inside stays pristine white with only the cross-hatching of the quilting stitches to spoil it! A quick stitch around the top of the cosy, and trimming down to the seam, turn it inside out, and voilà! A perfect fit! And as you can see, a rather more suitable tall, narrow shape than the tea cosy. I am so pleased with my new cosy, and cannot wait for a weekend of endlessly hot coffee! I may treat myself to some new beans to celebrate. How do you keep your coffee warm? And what is your favourite type? I am always on the look out for new ones to try! This is so creative! 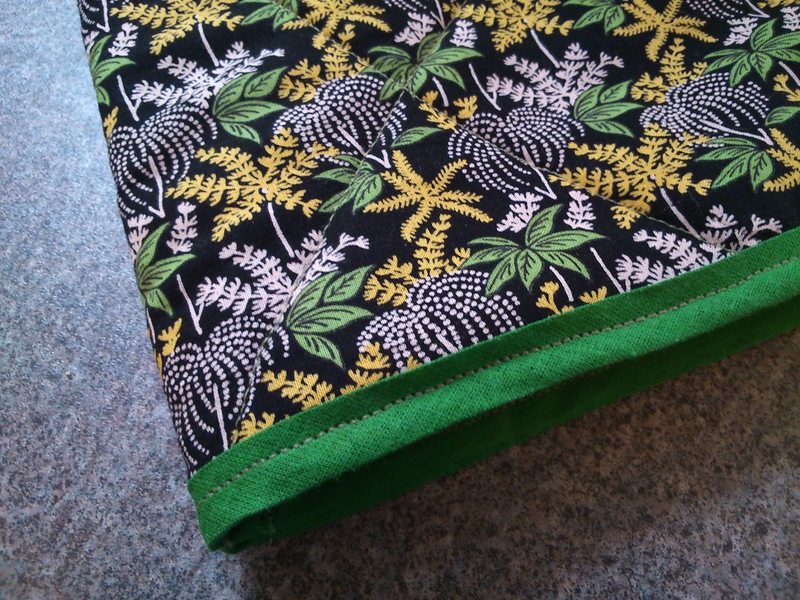 I absolutely love the fabric…but then I’m a bit of a fabric hound, myself. I think I will check out the fabric sale you mentioned. Thanks for that info too! They only have a few fabrics left in the sale, but the full collection is amazing! I am too tempted if I look closely though! !